Steve Ulfelder, by almost anyone’s accounting, has made it. His debut novel was nominated for a major award in the industry. But his Moment speaks of other forms of success. What it’s like to have a top agent in your corner, year in, year out. And at the end of the day, the only real measure a writer can use to gauge his or her success. What is it? Steve is about to tell you. How did I know I’d made it? Seems like a simple question – but the answer is complicated. I thought I’d made it five years ago when a small publisher, the first I queried, agreed to buy my first Conway Sax novel. That publisher spent the next 18 months going out of business. Turned out I hadn’t made it after all. During that initial query process, I got the break I was (and continue to be) supremely grateful for: agent Janet Reid, known to many for her blogging prowess, agreed to represent me. Between the near-miss with the first book and the day Minotaur agreed to buy PURGATORY CHASM, I would slog through some rough days. PURGATORY was the third Conway Sax book; the first two were rejected all over New York, then all over the country. Hell, I think they were rejected overseas a few times. Janet’s optimism and enthusiasm for my work were about all that kept me plunking away at the keyboard. I know how hard writers work to find an agent. It’s only gotten tougher these past few years. I have nothing but admiration for unpublished novelists who keep slogging away, waiting for that partial, then full, request. I don’t know if I’d have kept at it without Janet. How did I know I’d made it? This is the real answer: I don’t. Because I haven’t. PURGATORY CHASM was nominated for the Best First Novel Edgar, and that’s fantastic. Conway2, THE WHOLE LIE, comes out in a few weeks and has earned strong reviews. That’s great too. But every morning, when I pat the dog’s head one last time and don my noise-canceling headphones to attack Conway3, I feel the same knot in my stomach that I felt before any of these good things happened. I need to prove it all over again by writing the best thousand words I can come up with. Writing books for money is a tough racket. There are talented, hard-working people all over the place. Want to know if I think I’ve made it? Ask me at about noon on any weekday. That’s when I can tell you if I wrote a thousand decent words that day, and that’s all that matters. Steve Ulfelder is an amateur race driver and co-owner of Flatout Motorsports Inc., a company that builds race cars. In addition to being nominated for MWA’s Best First Novel Edgar, his debut, Purgatory Chasm, has been named Best First Mystery of 2011 by RT Book Reviews. His second novel, The Whole Lie, comes out May 8. Please welcome Sasscer Hill back to the blog with a second Made It Moment that may even top her first! One thing all writers hope for is that a wider slice of the world takes notice of their books, and media coverage is one way to make that happen. But we have so little control over it. This Moment reads like a blueprint for how–given a great book and some luck–a writer can bring her novel to the attention of someone who can get it even more. On April 15, I sat in the Annapolis Barnes & Noble cafe with fellow Sisters in Crime member, Becky Hutchinson, pouring over the arts and entertainment section of the Baltimore Sun newspaper. For a few frustrating and disappointing moments I can’t find the promised review. Anywhere. Wait, there it is — on page five, next to the best-sellers list. My God! I’d been after the Sun for a mention of some sort for two years. I knew they wanted a new book and an event to tie it to before they would write anything. In 2012, my second book came out. I called my contact at Pimlico racetrack and happily, she arranged for a grandstand book signing on Black Eyed Susan’s Day. I sent an email to the Sun’s sports beat-writer Sandra McKee. She said maybe the features editor would let her write something. Then she said it looked like it might happen. She interviewed me on my cell phone while my husband was driving us south on 95 somewhere in North Carolina. McKee was delightful. A kindred spirit — as little kids we both had fathers who wouldn’t let us have a pony. While I snuck rides on our Maryland farm’s Belgian plow horses, she was riding a cow on her father’s place in West Virginia. We both devoured everything Walter Farley ever wrote about horses. Let’s face it, I got lucky to have her as my interviewer. It’s all about serendipity. In the Barnes and Noble book store, I stare at the newspaper article. The review is long and positive. Years of work and revision acknowledged right there on page five. I feel validated. I feel wonderful. I am experiencing the Milchman-made-it-moment. Sometimes a writer will get in touch with me, saying, “I haven’t really made it yet, but today something kind of cool happened.” Now, we have Edgar winners and international bestsellers on the blog who don’t fully believe they’ve made it. No one ever is sure they’ve made it. But putting that aside, there did seem to be room in these “kind of cool” emails for a slightly different sort of Moment. A Mini one. So I decided to allocate some time on the blog for Mini Made It Moment Mornings. Today Julianne Carlile, an emerging writer whom I met at the American Idol of writing conferences, New York Writers Workshop Perfect Pitch, kicks things off. I just had a made it moment when I found that Tom Colgan was following me on Twitter. I guess there are many different “made it moments.” When I was in the third grade, our teacher had us write a paper on what we wanted to do when we grew up. I said I wanted to be an author, and proceeded to say in my paper that all you had to do to be one was to write a book and send it to a publishing house. She wrote on my paper that my plan was very impressive. She said, “Julie, you really know what you are doing!” That was a made it moment. In November, I attended The New York Writers Workshop Pitch Conference. It was a great time, learning how to write a good pitch for an editor or agent, meeting other writers, and taking in the fun of New York. While there I pitched my novel to Tom Colgan from Penguin and an editor from Random House. I did not get to pitch to the editor from Avon because I had to get my shuttle to the airport. Made it? Not really. Julianne Carlile is a poet, screenwriter (The Meeting, 2004) and author (The Little Red Hound). In this writing life, sometimes life interferes. R.P. Dahlke suffered a tragedy that sent her work into a tailspin. When she was finally able to stand up, it was 2010, and the world had changed. The writing world anyway. Read on to see what the advent of independent publishing has meant to R.P.’s career. It’s a lesson in second chances. It’s proof that in this writing life, life also restores. I had been writing for over thirty years when in 2005 my son, a career Ag pilot, died in a work related accident, and with his death went my muse as well as my energy for writing. Then, in 2010, I let out the breath I’d been holding for all this time and started to write again. I relate this not to curry sympathy, but to explain how I managed to stay so isolated from the community of writers that I loved. And what a change it’s been for authors. For someone like me, out of the business for five years, it was like going from covered wagons to space shuttles! Facebook, Twitter, blogs and, best of all, Amazon who very smartly got into the business of selling and promoting Indie authors. I grabbed onto the tail of that great beast and nothing has been the same since. The ride has taken me on a giddy roller coaster as one of the top 100 at Amazon for my series featuring a NY model turned Aero-Ag pilot. Yeah, up, down, and—oops, there it goes up again. And, wonder of wonders, I’m making money—golly, and to think I would’ve done this for free just to have readers tell me how they love reading my books. And, for me, that’s everything… readers! Nothing tells me I’ve made it like having readers. Don’t get me wrong, I’m not giving back the money. It pays for my smart editor and those spiffy new book covers, but now I don’t have to wait on an agent or a publisher. The readers who buy my books tell me I have a reason to write the next book, and the next, and the next. RP, AKA Rebecca Dahlke was raised on her father’s 80 acres of Almonds & crop dusting ranch south of Modesto, California. She’s been writing since 1994, first with a writing group in the East Bay Area and then when she and her husband went sailing, via the Guppies of Sisters in Crime, National. When they settled in Southern Arizona, Rebecca started a chapter of Sisters in Crime and A Dead Red Cadillac was published by Treble Heart Publishing. She was doing the rewrite on her second Lalla Baines Novel, A Dead Red Heart when her son, John Shanahan, died in a tragic crop dusting accident in California. Writing about anything, much less crop-dusting became too painful and she stopped writing until 2010. I am interested in writing teams–mother/son, husband/wife, as in the case in today’s guest post–just how do they DO that? And I’m also interested in the historical fiction that so many readers of this blog love and have pointed me to. Today’s guest post has both. The husband and wife team of Mary Reed and Eric Mayer, whose Moment appears here, have been penning a successful historical mystery series across many volumes. Today they discuss what writing a prequel to a successful series is like, as well as what innovative offers their topnotch independent press is taking part in. Welcome back to the blog, Mary & Eric! Our Byzantine mystery Four For A Boy is the fourth book about our protagonist to be published by Poisoned Pen Press. However, it is the prequel to our chronicles of detections carried out by John, Lord Chamberlain to Emperor Justinian. It was this way. During prior books we had mentioned John, a free man caught and enslaved by Persians and subsequently sold to the palace administration in Constantinople, regained his freedom through rendering a very delicate service for Justinian. However, we had not described what this service had been in any of the previous books, so when editor Barbara Peters suggested writing a prequel and telling the story, we decided to do so. Four For a Boy not only explains how John re-won his freedom and began his journey to high office but also the manner in which he met a number of characters, including some who are now close friends. It’s set at the time when an ailing Justin is still ruling the empire but Theodora and Justinian are waiting impatiently in the wings. One of the main characters is a villainous type based on Theodotus, a real person who held the office of City Prefect and was called The Gourd– but not to his face — due to his hideously misshapen head. “Whose hand do you propose to use?” Theodora asked with an alacrity that made John wonder if she’d played magician’s assistant during her former career. Theodotus flexed his stubby fingers. “Whose hand? Why, it will be my own!” Suiting action to word, he plunged his bared arm wrist deep into the bubbling mixture. A high pitched babble of alarm and shock surged around the room. More than one guest looked hastily away. John looked away also but toward the window. His keen hearing had caught the sound of someone running across the garden. A collective gasp drew his attention back to Theodotus. The Prefect had withdrawn his arm from the boiling mix and was waving his apparently uninjured hand triumphantly. In the same book we describe how John flies for a brief period although it is by utilising practical means rather than magick. We returned to magick in Six For Gold, wherein the diminutive Egyptian magician Dedi claims responsibility for sheep committing suicide –they belonged to a man with whom he is feuding — not to mention performing the miraculous cure of a crippled man through the medium of a human-headed snake oracle and summoning an air-borne flaming demon. And yes, all is explained in due course. Being counted among those who always want to know what happened in the end, I am happy to reveal Four For A Boy includes an afterword relating the later life of the historical Gourd. And without giving anything away, it turned out to be a good demonstration of what we nowadays call karma. The husband and wife team of Mary Reed and Eric Mayer published several short stories about John, Lord Chamberlain to Emperor Justinian, in mystery anthologies and in Ellery Queen Mystery Magazine prior to 1999′s highly acclaimed first full length novel, One for Sorrow. Entries in the series have been honored by a Best Mystery Glyph Award, an honorable mention in the Glyph Best Book category, and was a finalist for the IPPY Best Mystery Award (Two For Joy), nominations for the Bruce Alexander Memorial Historical Mystery Award (Four For A Boy and Five For Silver), and a Glyph Award for Best Book Series (Five For Silver). The American Library Association’s Booklist Magazine named the Lord Chamberlain novels one of its four Best Little Known Series. Lord Chamberlain to Emperor Justinian. the story, we decided to do so. a number of characters, including some who are now close friends. but Theodora and Justinian are waiting impatiently in the wings. -- but not to his face -- due to his hideously misshapen head. wrist deep into the bubbling mixture. one guest looked hastily away. had caught the sound of someone running across the garden. they belonged to a man with whom he is feuding -- not to mention performing the miraculous cure of a crippled man through the medium of a human-headed snake oracle and summoning an air-borne flaming demon. You know Michelle Black has to be a terrific writer–the last line of her Moment is laugh-out-loud funny, and she has a metaphor for the ups and downs of the publishing biz that gives you that ahhh feeling. You know the one I mean? Where you read something and say, “Yes, that is exactly what it’s like. The author got that exactly right.” If you survive reading this Moment–and it nearly gave me fits, hoping for the Hollywood ending–you’ll get a chance to see for yourself just how good Michelle is. I’m giving away a copy of her latest historical suspense novel to one lucky commenter. When did I feel like I had made it? The easy answer would be the day I got “the call”—that Holy Grail for all unpublished authors when a New York editor calls to offer a publishing contract. For me, though, the long road to New York took an unexpected detour through Hollywood and bounced back and forth between good fortune and heartbreak so many times, it nearly gave me whiplash. A dozen years ago, I wrote a historical novel about Custer called An Uncommon Enemy. While working a small press booth at the 1997 Book Expo America, a woman stopped by and we chatted. When I mentioned my book she asked, “Would it make a good movie? Has any novelist ever answered “no” to that question? She left me her card and as she moved on to the next booth, I realized she was an agent for Creative Artists Agency, one of the biggest talent agencies in Hollywood. CAA represents folks like Tom Hanks, Meryl Streep, and Brad Pitt. I was star-struck. No answer for that one either. I had fruitlessly searched for an agent for more than a year and now one would simply be arranged for me? Such was the power of CAA and, once again, I could not believe my luck. As promised, my newly procured literary agent was soon shopping my novel around New York. But wait…the story doesn’t end there. Though the literary agent worked hard for a year to find a home for my book, she ultimately failed. She resigned from the project, suggesting that I submit to a university press. What I thought was the end of the line turned into a new beginning. I spent the next several weeks rewriting the entire second half of the book and decided to try to sell it myself. I carefully targeted four editors and sent each a query. Three of the four requested the manuscript and one called in a few weeks to say he was recommending it for acquisition. The publishing house bought the manuscript—a very slo-o-o-ow process, it turned out—and set a 2001 publication date. I was thrilled, of course, and tried not to get discouraged when my editor left the house just before the book debuted. After all, the book tour was already scheduled…for the week of September 11, 2001. Yes, that week. I began to think the book was jinxed. It sold well enough to spawn two sequels and was nominated for a regional book award, but never found the audience I had hoped for it. But wait…the story doesn’t end there. Years went by and the rights to the novel reverted back to me. I decided to give the book a second chance. I formatted it as an ebook and published it for Amazon’s Kindle. A few weeks later, an influential Kindle blog reviewed An Uncommon Enemy and printed the first chapter online. Within hours, the book started selling. Does the story end here? Who knows? Right now I am enjoying the publication of my sixth novel, Séance in Sepia, a novel of historical suspense with real life feminist Victoria Woodhull as its protagonist. I have begun to suspect something, and author Kate Flora may have just pushed me over into the territory of the confirmed. It really does take ten years–one way or another–to become writers worthy of being read. Some of us spend that time writing. Or getting ready to write. Some querying. Some on submission. Some holed up at editorial (me! me). In the future, some may spend it releasing books themselves and slowly building a readership as they hone their craft. But in many, many cases it takes ten years, give or take, to write the book you were born to. And…then what happens? Some mighty great things, as Kate will also tell you. A question that, initially, we all tend to answer the same way—I haven’t yet. But the more nuanced answer is this. I spent ten years in the unpublished writer’s corner, a place many of us have dwelled for years, and then I got a three-book, hard-soft deal and thought I was on my way. I got another contract in that series. That was followed by a big book sale of a stand-alone suspense novel, Steal Away, written under the pseudonym, Katharine Clark. I had one crazy year when I had two books out, from two different publishers, under two names, at the same time. I would set up events for both of us, and just switch from one chair to another and put on a hat on my book tour. The big book did not earn out. My publisher dropped my series. I debated whether to go and play in traffic. Instead, I joined a pair of other mystery writers in forming a publishing consortium to edit and publish yearly anthologies of crime stories by New England authors. I dared myself to take a chance on writing police procedurals. I spent two and a half years helping a police detective friend write a true crime, Finding Amy. How did I know I’d made it? When taking chances made me richer, in satisfaction and giving back to others in the mystery field, than my previous work ever had. When I was able to let go of my envy of other writers who were doing better, and instead celebrated their accomplishments while enjoying my own. When a whole Maine county chose my book to be their community read, I was a finalist for the Maine book award, and I woke one morning to find that cop and I had been nominated for an Edgar. Attorney Kate Flora’s twelve books include seven Thea Kozak mysteries, two gritty police procedurals including The Angel of Knowlton Park, a suspense thriller, Steal Away, written as Katharine Clark, and a true crime, Finding Amy, which was a 2007 Edgar nominee and has been optioned for a movie. Her current projects include Death Dealer, a true crime involving a Canadian serial killer, a screenplay, and a novel in linked stories. 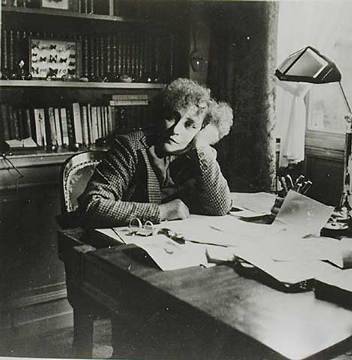 Flora’s short stories have appeared in numerous anthologies, including theSara Paretsky edited collection, Sisters on the Case. She is a former editor and publisher at Level Best books, former international president of Sisters in Crime, and a founding member of the New England Crime Bake conference. Her story, “All that Glitters” appears in Dead Calm, and her story, “Bone China” in the crime story anthology Dead of Winter. Her third Joe Burgess police procedural, Redemption, was published in March 2012. Please welcome back to the blog author Stacy Juba, whose Made It Moment appeared here in 2010. Stacy has been a big supporter of Take Your Child to a Bookstore Day and writes children’s books herself. She’s also making intense forays into the world of Kindle books and electronic media and today she shares a post that I think will have especial value to indie authors. Stacy is exploring the value of such programs as Kindle Select by gathering together a group of authors and pooling promotions. There are opportunities for readers to discover new books–and for authors to learn how some of these tools really work when put to a test. Here’s to great sales for all! I recently came up with an ambitious idea – to spearhead two large group Kindle Select promotions. For those who haven’t heard of Kindle Select, it refers to a program in which authors give Amazon a 90-day exclusive for the e-book edition of their title in return for 5 promotion days designed to boost the book’s visibility on Amazon. What this means for readers is that you’ll have an opportunity to download lots and lots of free Kindle books during our two promotions. And Kindle authors, you can watch our sales rankings to decide whether it might be worth your time to organize an event like this. http://www.amazon.com/lm/RXUK7UVMTPUOH and come back on the 13th, when every book will be free, many for the last time. April 19 – Give Your Child a Free Kindle Book (or 15 of Them!) Day. On April 19, all 15 books on the list will be free. As if that isn’t enough, we’ll also have a free Agatha-award winning bonus book offered by author Nancy Means Wright, The Pea Soup Poisonings, downloadable in the e-book format of your choice from the Belgrave House web site. I’m very excited about these two events as we have a great group of writers whose publishing history includes MIRA Books, HarperCollins, Simon Pulse, Dell, E.P. Dutton, Millbrook, Lerner, and St. Martin’s Minotaur, to name a few. We have authors who have won or been nominated for the Agatha, been nominated for the Edgar, made NY Times and Amazon bestseller lists, and have had their books named to various lists. Since I’m organizing both campaigns simultaneously, I’ve been asked a lot of questions. I’ll answer the most common ones in case any authors out there are thinking about organizing an endeavor like this themselves. 1. How did these promotions come about? Over the winter, I used 3 free Kindle Select days during the campaign for my mystery novel Sink or Swim, and had fantastic results, landing around #21 on the Top 100 Free list. When it went back to paid, it sold better than ever before, and an unexpected surprise was that sales really took off in the United Kingdom. I was thrilled with the results. However, once sales tapered down, I had 2 free days left and I wasn’t convinced that I could match the previous results since so many e-book sites had already featured the book last time. I decided it might be worth trying a group promotion for the final days. It was a different story for my children’s books: the picture book The Teddy Bear Town Children’s E-Book Bundle, my classic YA family hockey novel Face-Off, and my YA paranormal thriller Dark Before Dawn. Teddy Bear Town performed well with its initial free campaign, and sales took off, but they were a fraction of what Sink or Swim sales had been despite having held an almost identical spot on the Top 100 Free List. Face-Off has always sold well, and the free days really didn’t have much impact. I think both of those e-books appeal to a niche audience of parents and kids, rather than a general Kindle audience. Dark Before Dawn did well on it previous free days, but considering how hot YA paranormal is right now, I thought it could have done even better. I felt that by banding together with other children’s and YA authors, who are also trying to reach this niche audience, that perhaps our free days would have more of an impact. 2. How did I organize it? I posted on Murder Must Advertise, the Kindle Boards, and other Yahoo author groups. I asked for a blurb under 400 characters including space (the requirements of an Amazon Listmania list) and gave a deadline to contact me. For the Friday the 13th promotion, I instinctively felt that we should have 13 books and 13 authors, so I had to turn some authors down, which I felt badly about. For the children’s promotion, I used everyone who contacted me before the deadline, but I would have capped it around 15 books anyway as I didn’t want any titles to get buried on the list. 3. What kind of promotional activities have the groups done? First, I made two email lists: one of my participating adult authors and one of my children’s/YA group. I collected their publishing credits and awards, (there were tons of them!) and crafted a “nut graf” description for each campaign. I also compiled everyone’s blurbs into an Amazon Listmania list, one for each group, topped by the nut graf. I made Word files of blurbs and links, so that we could email them to e-book sites and book bloggers. We also did press releases and have been brainstorming strategies for blogs, ads and social networks. Everyone really pitched in to help. It was amazing to see these groups of people who didn’t know each other that well, if at all, pull together for a common goal. 4. Would I plan more group campaigns for future books? It depends on the results. If the results are superb, then I would consider it, but definitely not right away. I think this type of campaign loses its effectiveness over time. We’re being supported by some wonderful bloggers and we are incredibly grateful for their help. I wouldn’t want to keep imposing on them. This is more of a ‘once in awhile’ event, and any subsequent event would be smaller scale, perhaps more ad-centered than blog-centered. Once these campaigns are over, my focus for the next couple of months will be on writing my books. 5. Do I have any advice for other writers that would like to plan a similar promotion? Be organized about it. You can’t conduct something like this over Twitter or Facebook. You need to CC everyone on the emails, and break up the plan into small steps. One week the group works on a couple of tactics. The next week, you shift to a couple more. And you need authors willing to promote, and who ideally have a good social media presence. I’ve been fortunate to have two teams of enthusiastic, hard workers who want to succeed with this as much as I do. I didn’t anticipate how much work would be involved, and if I’d known, I would have warned them more upfront, however the main reason the campaigns have gotten so big is that people kept stepping forward, volunteering to take on different jobs. I found the best teammates that I could have asked for with these projects. If you have authors who signed up, however, and then don’t follow through on the work, then the whole thing is going to fall apart. 5. Who’s participating in these events? For the Friday the 13th mystery event, in addition to myself, we have Keri Knutson, Jean Henry Mead, Bonnie Hearn Hill, Joanna Campbell Slan, Maryann Miller, RJ McDonnell, William S. Shepard, Debra Lee, Timothy Hallinan, Alina Adams, Mike Bove, and Gerrie Ferris Finger. For the April 19 Give Your Kids A Free Kindle Book event, I have three books in the campaign, and we also have Dorothy Francis, Renae Rae, Alina Adams on behalf of Dan Elish for the multimedia edition of his book, PJ Sharon, Norah Wilson, N.R. Wick, Mike Hays, Dalya Moon, A.W. Hartoin, Nancy Means Wright, and Xist Publishing with three titles. Although Stacy Juba specializes in writing adult novels, she has also authored books for children and young adults – she pursues whatever story ideas won’t leave her alone. Stacy’s titles include the mystery novels Twenty-Five Years Ago Today and Sink or Swim, the mystery short story Laundry Day, the children’s picture books The Flag Keeper, Victoria Rose and the Big Bad Noise, and the Teddy Bear Town Children’s E-Book Bundle (Three Complete Picture Books), and the young adult novels Face-Off and Dark Before Dawn. She is a former journalist with more than a dozen writing awards to her credit and is currently working on a contemporary fiction/romantic comedy novel, as well as a new mystery novel. Many of her titles have appeared as #1 on various Amazon Kindle Top 100 lists. Not only is Ellis Vidler published by one of the more exciting small presses out there–one I can confidently recommend any writer seeking publication submitting to–but she writes suspense with just the perfect lick of romance. If that’s your genre, check out Ellis’ work–you’ll be glad you did. But first, read Ellis’ Moment. From exchanges we’ve had, I know that some readers of this blog are caught in a stage I remember all too well. One where you don’t feel entitled to call yourself a writer and you’re questioning this dream of ours. It applies to people who aren’t writers, too–anyone who’s ever doubted the legitimacy of his or her devotion. Ellis knows what that’s like. And she knows what happens when the sun comes out and you finally get past it. I remember this one well—the moment I felt I’d made it, that I was a real writer. I’d been going through my usual guilt over the time I took from my family and responsibilities while pecking away at my IBM Selectric. I was so proud of that typewriter, my first big purchase especially for writing. Another big step was going to my first writers conference, the South Carolina Writers Workshop. We all sat in a large meeting room, listening to wonderful and often funny speakers, chatting, sharing experiences. Then they announced the contest winners. Third, second, . . . and first place to Ellis Vidler for “Restitution.” I just sat there, unsure of what I’d heard. It’s sort of the same way you react to an obscene phone call—it takes a minute for the message to sink in. Then my friend Bobbie Christmas poked me and I woke up. It’s difficult to describe all the feelings I had. Shock, joy, and then the one that changed everything—justification. I won $200, and it made me believe in myself, that I could do actually it. I’d only entered for the feedback, never expecting anything more, but I’d won. And so my family was condemned to a life of sandwiches, doing their own laundry, and all the other things I ignored so I could write. These life-altering moments don’t necessarily equate to success, as in getting published. That took another ten years, but not even the letter from Silver Dagger offering me a contract did as much, though I have to say that was a fantastic experience. Sometimes its very hard to believe in yourself when you constantly hear that the odds are so against you. Everyone considers your writing a time-sucking hobby, an excuse to avoid housework (okay, maybe sometimes), and a hopeless dream, but it’s also a release and a joy, even if you’re never published. I believe though, if you seriously work at your craft and keep improving, if you make an effort to learn the business, you’ll get there. It may be a long time coming, but if you really love writing, don’t give up. All of Ellis Vidler‘s stories have some degree of romance and a lot of suspense. Her first book, published by Silver Dagger Mysteries, was Haunting Refrain. Cold Comfort is her new romantic suspense from Echelon Press. The second was The Peeper, a suspense novel co-authored with Jim Christopher. Her collection of three short Southern stories, Tea in the Afternoon, is available on Kindle.